DENIS JOHNSON’s Tree of Smoke (Farrar, Straus & Giroux, 2007), a novel about the Vietnam War, took the 2007 National Book Award for Fiction on November 14, 2007. For nonfiction, New York Times reporter Tim Weiner won the prize for Legacy of Ashes: The History of the C.I.A. (Doubleday). The prize for young people’s literature was awarded to Sherman Alexie for The Absolutely True Diary of a Part-Time Indian (Little, Brown & Company), the autobiographical story of a 14-year-old Spokane Indian who leaves his poor reservation school and moves to a wealthy, all-white school. 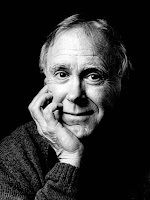 Former U.S. poet laureate Robert Hass won the award for poetry for Time and Materials (Ecco/HarperCollins). A special Medal for Distinguished Contribution to American Letters was awarded to essayist and novelist Joan Didion who won the National Book Award for Nonfiction in 2005 for The Year of Magical Thinking.